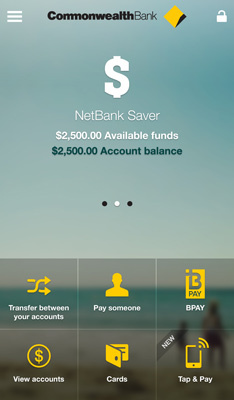 news The Commonwealth Bank of Australia has unveiled a new unified smartphone app that will operate on iOS, Android and Windows Phone 8 platforms and provide NFC payments functionality, as well as a ‘stick-on’ NFC chip for smartphones (also launched by Coles) that don’t have near-field functionality embedded in their own hardware. 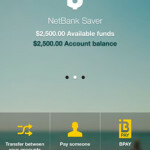 In a statement the bank said since it first launched in early 2011, the CommBank mobile app had become the number one financial services app in Australia, with more than 3.7 million downloads and close to two million active users. “Mobile devices are increasingly the device of choice for millions of Australians when it comes to managing their money. Mobile access now represents more than half of all access to online banking. We continue to deliver a simple and convenient mobile experience that exceeds expectations,” said Lisa Frazier, executive general manager Digital Channels at the bank. 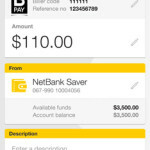 “By leveraging the success of CommBank Kaching and using next generation mobile technology, the enhancements to the CommBank app will give customers access to world class mobile banking and payment solutions – effectively turning their smartphone into an e-wallet. With rapidly increasing adoption of mobile banking, we expect to see continued demand for the latest technology innovations and as Australia’s leading technology bank, we will continue to set the pace for the rest of the industry,” Frazier added. 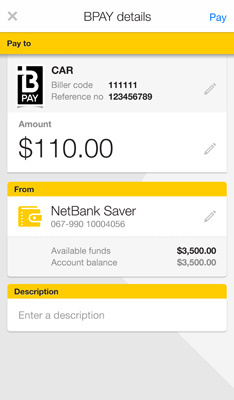 The new CommBank app will enable customers to pay on-the-go, do their banking anywhere, check a balance with a simple swipe on their phone (no PIN required); pay bills via a QR code; pay a mate back using their mobile number, email, Facebook contact or via the Bump standard; and find the nearest CommBank ATM or branch. If customers have an NFC chip in their smartphone, or attach one of the bank’s new ‘PayTag’ stickers to the back of their smartphone, they will also be able to use the app to make contactless payments. 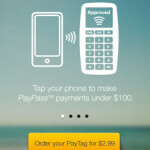 The bank is describing PayTag as a ‘smart’ sticker that customers can attach to their smartphone to make secure contactless payments of up to $100 in value. The app allows smartphone users to turn the contactless payment functionality in the NFC chip on or off as they need, and selecting which account to pay from. The chips will be available for all iPhone and Android smartphones. 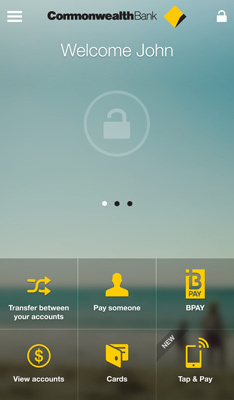 “The additions announced today deliver a whole new level of trust and convenience to the way consumers make mobile payments and manage their everyday mobile banking,” said Michael Harte, group executive Enterprise Services and chief information officer, Commonwealth Bank. “Trust is vital to deepen our customer relationship value in mobile banking, Our customers increasingly demand access to leading smartphone, tablet and PC technology. We continue to invest in rich content and the back-end technology that enables us to deliver real time value to our customers. “Our strong platforms and security layers are at the heart of all our technology, and have spearheaded the growth in consumer confidence in mobile banking services,” Mr Harte added. From grabbing a coffee on the go, to paying for everyday groceries – customers will now be able to use their smartphones to make contactless payments with a simple tap – turning their smartphone into an e-wallet. According to the bank, three years ago, 88 per cent of online banking logons were through a desktop. Today, mobile is the main method in which customers logon on (56 per cent), while CommBank’s volume of contactless payments have increased sixfold in the past 12 months, according to the bank. 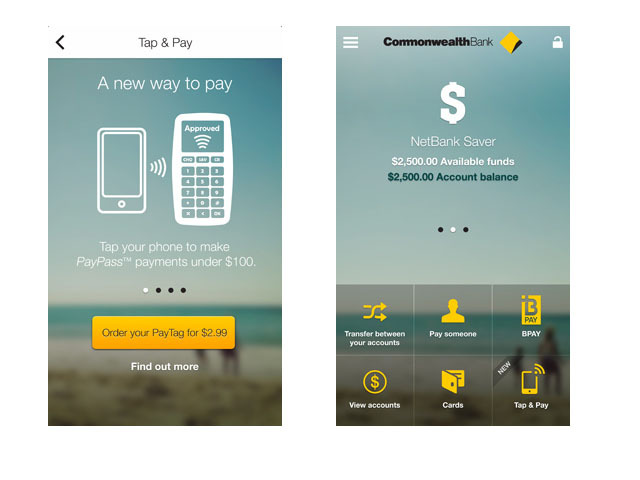 “Worldwide contactless payments continue to grow and CommBank will continue to adapt to the customer demand for convenient mobile payment technologies,” said Angus Sullivan, executive general manager Cards, Payments, Analytics & Retail Strategy at CommBank. However, although CommBank is the only Australian bank known to have deployed the PayTag stickers, it is not the only major organisation. Coles, for instance, today also launched a 5,000 customer trial of the new stickers, which are made by MasterCard. “By simply attaching the ‘sticker’ tag to a mobile phone, Coles MasterCard customers will no longer have to take their wallet into store when making contactless purchases,” the retailer said in a statement, noting that FlyBuys points could also be counted through the new stickers. “We believe there is a significant opportunity for Coles to deliver Australian customers further innovation in financial services, as we continue to look for new ways to deliver better value every day,” said Scott. s/^news/press release/ but how is this different to the already high penetration of PayPass/PayWave debit/credit cards that already use NFC? Also, the article mentioned you can choose what account to debit from when you make the transaction. By the sounds of things, even the stick on version will let the app dictate which account to debit from. So does the stick on communicate with the phone in any way directly? 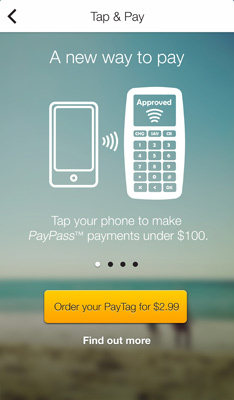 If not, then essentially we have invented a thinner, NFC enabled credit card, and put some glue on the back of it. I guess if CBA know which card is yours, then the mobile app can activate/deactivate it at the server side. Simples. I don’t think the sticker does, it’s just like a stick on paywave card. The bugger is, before, if you lost your wallet you still had your phone, or vice-versa. But soon, you lose one, you lose the lot. It will be interesting to see if Bluetooth LE and iBeacons kill off NFC all together. Not going to happen for a number of reasons. Huh? BLE is a standard. Beacons have been on Android since 4.3. I hope the stickers are compatible and can be used interchangeably. There’s only so much space on a phone for NFC stickers. Nah just change cases, you can have a Commie Case, a Amex Case, a Visa case, a flybuys case….thing of all the cases!